It’s not often thought of, but your gut bacteria has a big role to play in your overall health. When you eat well and your intestinal bacteria are in perfect balance, you feel well too. But our modern lifestyles, coupled with processed foods, alcohol, antibiotics and lower levels of exercise can cause our intestinal systems to be under constant stress. Probiotics support immunity by stimulating the body’s natural defences against our modern lifestyles. Probiotics assist in lining the intestines with a protective layer of friendly bacteria that bars pathogenic substances in the gut from harming the body allowing you to live a healthier and happier lifestyle. Founded in 2004 by Farah, Jalal and Soraya Janmohamed, OptiBac Probiotics is a family owned and run brand based in the south of England. Focusing just on probiotics, the company has built its expertise in taking specific species and strains and using them to target different health conditions. We deliver the best of probiotics to all. We’re partnered with top probiotic institutes across the world to develop a leading range of 10 scientifically-backed supplements that are designed to get your body into good health (and keep it there). OptiBac Probiotics deliver fantastic results when taken regularly, helping you to feel better, no matter where life takes you. Our complete range of gut health products can make you feel bright and full of life. If you experience regular bloating, Our OptiBac 'For a flat stomach' Probiotics can help you bring back to normal in just one week. Sufferers of Candida, Irritable Bowel (IBS) or Inflammatory Bowel (IBD) can especially benefit from 'For bowel calm’s' Saccharomyces boulardii bacteria – revitalising your bowel’s natural bacteria levels, reducing diahorrea urgency and discomfort. If you’re looking to boost your immunity before the germs of winter strike, OptiBac 'For daily immunity' can help you fight off colds and flu. Our special 'For daily wellbeing' probiotic formula supports a healthy balance of friendly bacteria throughout your intestinal tract for good overall health. A premium probiotic formulation containing 20 billion live microorganisms per capsule, best suited for people on long term antibiotics as well as sufferers of IBS, IBD, eczema and acne. If you’re taking antibiotics or you’ve just finished a course of them, your intestinal health can be out of balance. Our two-strain formula can have your gut bacteria feeling healthy again in no time. Overseas travel can be really hard on your digestive system – especially when there’s lots of different foods and different climates involved. 'For travelling abroad' can help you stay healthy and in balance, no matter where your travels take you. 'For women' probiotics can be very effective at keeping flora under control and maintaining your natural feminine balance. It’s even safe during pregnancy, breastfeeding and menopause, so you can be in great health, all life long. Our children’s little tummies need balance too. Their gut bacteria is different to adults, which is why our 3-strain probiotic is specially designed for children. Healthy childhood, healthy adulthood. 'For maintaining regularity' is a natural supplement containing a probiotic strain and a prebiotic fibre specifically selected to support normal bowel function and help make bowel regularity an everyday thing. Tried competing brand probiotics, no comparison. "I have been on the every day optibac probiotics for 1 year now 2 capsule in the morning for me they are great I suffer with IBS & indigestion sometimes really badly, put since going on to these probiotics I am much better. I ran out of them for a week and tried competing brand probiotics, no comparison. I was in so much discomfort. Please can someone explain what is the ingredient in the everyday probiotics that makes them so good for me.?" I am now completely free from bloating. "I suffered from bloating for more than 5 years, with no relief whatsoever. My colonics Hydrotherapist recommended OptiBac products, that were spoken highly of at Colonics seminars. I purchased One Week Flat, and from day one of the 7 day course, I have had no bloating since. I am amazed, speechless and over the moon to be free of bloating, which caused me extreme pain sometimes, it affected me walking or exercising. It affected my relationship with my wife, it gave or worsened lower back pain that I suffer from. I am now completely free from bloating, and at risk of sounding dramatic, it has turn my life around :))))) "
"I knew nothing about probiotic tablets until a few months ago. I assumed that those sweet yoghurts were the only way to consume probiotics. But since being introduced to Optibac, it's been a revelation. I work horrid shifts, and my energy levels have definitely increased since I started taking them, my skin is glowing, and my digestion is far better -- all things which have aided a lift in my mood too. I'm now one of those annoying people who keeps trying to convert my friends and colleagues to the probiotic way of life :)"
No diarrhea at all and my stomach was comfortable. "Bought probiotics for antibiotics recently. After consultation with Optibac they guided me through how to take them and also gave me advice for probiotics after treatment of Helicobacter. Treatment consisted of 3 antibiotics (very strong stuff). I am very happy to say after taking these every day with my treatment I had no diarrhea at all and my stomach was comfortable. Can't thank enough. Am now using Saccharomyces boulardii and every day probiotics to increase benefits and protection. Telephone call guided me through. 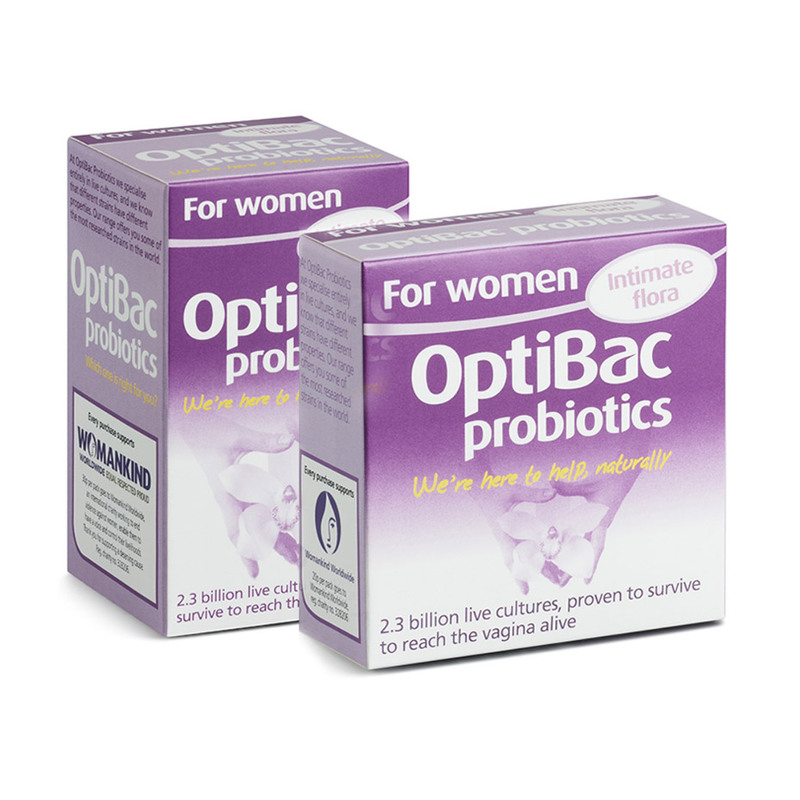 Here’s where you can purchase OptiBac Probiotics products today. Our team of OptiBac Probiotics product specialists will be happy to help you with any questions you may have. Copyright © Wren Laboratories Ltd. All Rights Reserved.